On August 26, over 600 people enjoyed the “Cruisin’ into the Next Chapter” Classic Car and Truck Show and family fun day at the Yolo Branch Library. The event was sponsored by the Friends of the Yolo Branch Library and Yolo County Library. 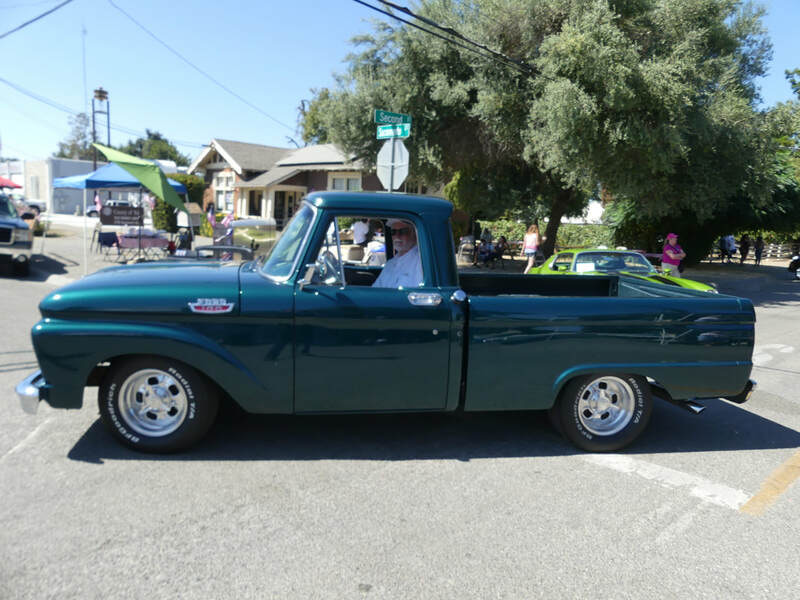 Over 100 classic cars and trucks lined the streets in the town of Yolo. Many of the entries came from Dunnigan, Zamora, Yolo, and Woodland. Several car owners came from as far away as Placerville. The Friends of the Yolo Branch Library would like to thank the community for making this event a success. Over fifty community volunteers, County of Yolo, Yolo Fire Protection District, Yolo Blacksmith, Yolo Market, Cache Creek High School, and dozens of generous businesses worked with the Friends and Yolo County Library to make this event special. Families spent the day enjoying music by the live band Souled Out and DJ Chris Rockwell who donated their services, learning about oil and battery recycling from Yolo County Integrated Waste Management, viewing antique fire engines from local fire districts and an antique garbage truck, and getting information about citizenship from U.S. Citizenship and Immigration Services. ​Raffles prizes were donated by businesses and individuals with proceeds from the event going towards programs and services at the Yolo Branch Library, which serves the communities of Yolo, Zamora, Dunnigan and surrounding areas.